Notice you are lodged in one kind of emotion a lot of the time. 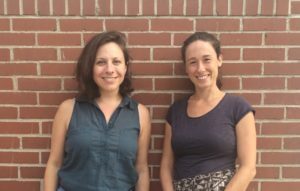 Threshold practitioners, Julia and Beth, started What Is: Mindfulness, an organization that brings mindfulness education to children and adults. As we set out into our Spring programs in schools, we are seeking more funding and opportunities to share. So, we created a way to do both! If you want to see more mindfulness education for students and have been wanting to deepen or begin a practice of your own, this program is for you. In the first part, we will delve deeper into an introduction to a mindfulness practice, with a focus on our mind. We will learn to pay attention to our thoughts without judgement. We will gain tools and practices to allow thoughts and feelings to flow, rather than the experience of getting stuck in unhelpful thought patterns. Labeling thoughts and feelings, with compassion, can reduce the sensation of stress and allow for more present living. The second Sunday will be devoted to noticing how your body plays a role in your experience of now. Drawing from craniosacral therapy, somatic experiencing, and anatomical specificity, Julia will offer you insight into how feeling and sensation can shift your experience of the present moment, tools to regulate your own nervous system, and anatomy to support your ability to become more intimate with your body. We will finish out the series by swimming into the realm of the heart. As an integral part of mindfulness, the ability to cultivate feelings of closeness to the self and others would never be left out of our agenda. We will practice intentional thought and reflect on what comes up as we cultivate love. Everyone needs and can have more of this practice, and studies show the effects of the happiness that is generated reverberate out into the wider community.